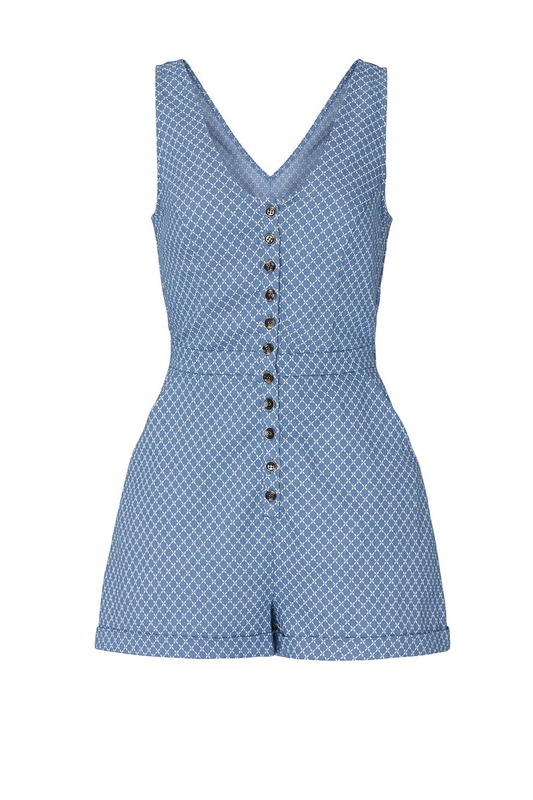 This effortless léRumi romper goes from brunch dates to the boardwalk and everywhere in between. Blue and white printed denim (70% Cotton, 27% Polyester, 3% Spandex). Romper. Sleeveless. Scoop neckline. Exposed front button down closure. Pockets. 31" from shoulder to hemline. Imported.